Social interaction is a key determinant of overall health. Socializing with others is important for brain health and activity, as well as for mood and personal outlook. It is important for seniors to feel validated for their life experiences and to have the opportunity to share their memories, their values, and their wisdom with others. 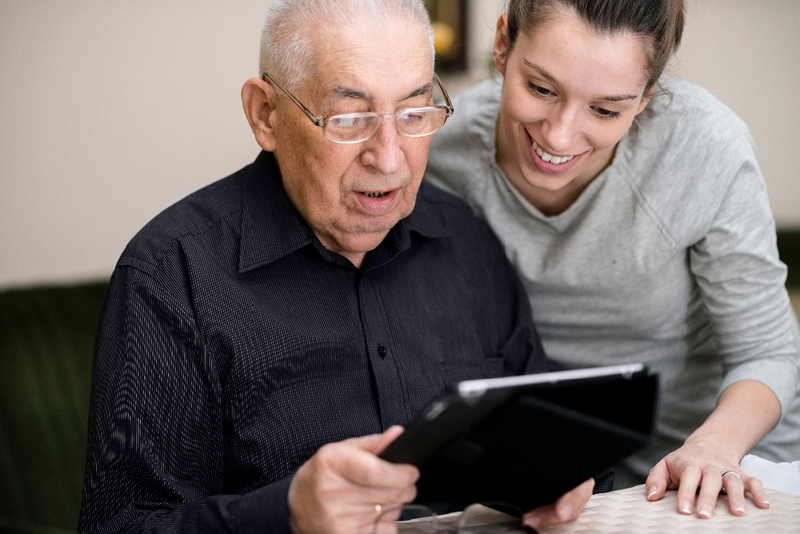 Triple Vitality provides an opportunity for social validation of seniors. Each client is paired with a trained caregiver, and the two will form a strong bond. Receiving positive reinforcement from an admired caregiver boosts self-confidence and morale. The social interaction component of Triple Vitality is to be enjoyed socially by engaging the client in whatever way best suits each individual client. Caregivers will gladly help a client with a particular task or project during that time—perhaps something that is difficult to do individually such as: cleaning out closets/cupboards, sorting through belongings, scrap booking and labeling photos, writing letters, cooking and baking, discussing current events or sports, using the computer, etc. The possibilities are endless and are as unique as each client. Part of the social interaction component of Triple Vitality will be dedicated to setting small goals together and checking on previous goals. The goals may include: simple physical exercises that the client wishes to practice, some mentally stimulating assignments to be done independently, or even a personal project that the client wishes to work on. Goals will be very small and attainable—not an overwhelming or stressful assignment. Examples of goals might include: cooking one healthy meal or walk to the end of the street and back once or complete one crossword puzzle or label 10 photos. The sense of accountability and pride of accomplishment will encourage your loved one to maximize their potential and be aware of a greater sense of purpose. Each session, the goals are reviewed and new goals are set. The positive feedback for achieved goals and the encouragement to continue working at ongoing goals will inspire your loved one and reinvigorate them with purpose. We look forward to seeing the improvement in your loved one!